Upgrade any bedroom suite with our Amish Maple Creek Slat Bed. 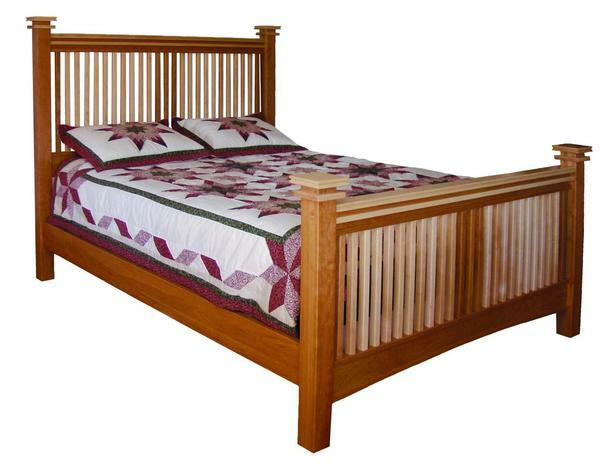 This beautifully designed and handcrafted Amish bed will provide you with years and years of sound sleep. Forget about all of the annoying sounds that are present with cheap bed frames. This solid wood bed will allow you to sleep in peace every single night. You can have this handcrafted Amish bed made in a twin, full, queen, king, or California king size. Choose the bed size, premium hardwood, and finish to get your order started today! Please let us know if you have any questions at our toll free number - 866-272-6773.